Who knew there was an Accra version of Monopoly? I’ve only seen a banner for it at Accra mall, but will keep en eye out. I was at the mall looking for a yoga mat (Game, 82 cedi or so, depending on colour) and had a cold coffee at Second Cup, when we spotted the banner for Accra Monopoly. Accra Mall is actually listed as #4 of TripAdvisor’s top things to do in Accra, which I might not agree with. But it has A/C, cinema, Shoprite and Game, and it can be a nice change of scene. We just went to see “Hidden Figures” there. And there is a Woodin store, wonderful Ghana fabrics by the yard, just a riot of gorgeous colours. Or is this the Vlisco window? Both are lovely. There is a bigger Woodin store in Osu, on Oxford Street, nice ready-made men’s shirts and fabrics by the yard. Inspired by Beb’s RecipeDrawer‘s Apricot Sponge Pudding, which uses dried apricots, I made a sponge pudding with fresh pineapple. Counting down to holidays, there were also some apples in the back of the veg drawer, and I had found nice flaked coconut (at Palace, for those who know Accra). Food shopping here is better than expected, as long as you are prepared to try a few different shops for very specific things. Strong bread flour can be a challenge; the local Tema flour can normally be found but is sometimes very moth-infested, but a new French brand just showed up in Marina Mall (another mall, #15 of 55 things to do in Accra – mysterious) which is OK. So we manage. Anyway, back to the pudding. Bake 30 min in moderate oven, 180C.The recipe notes that the fruit mix needs to be hot, so I quickly boiled up the apple slices and sugar, then thickened this with potato flour. Pour in glass dish, then mix topping together and bake. I used less butter and less sugar, as the fruit was quite sweet, so the top did not get very golden. Nice quick weekday dessert. The sun sets just after six PM, and the kitchen is dark at the best of times, so the photo is not great. But the pudding was good! Lots of fruit flavour. It probably would have been even nicer with more butter, but this worked fine. One last Ghana@60 photo, a banner-festoned roundabout. This entry was posted in baking, food, fruit and tagged apples, coconut, living in Accra, pineapple, pudding on March 26, 2017 by krumkaker. Our balcony overlooks the neighbouring garden, which belongs to a bakery. There is always something going on: laundry to hang out, feeding time for the dogs (doghouse on left), amazing smells of cakes or chicken roasting, or like this Saturday, palm tree pruning. A small brown puppy gets let out now and then, otherwise we never see the dogs. There is often a radio playing music, which we hear faintly, and people chatting while working under trees on the right. Some days we hear the thwack-thwack of chicken being chopped, probably for their jollof rice takeaways. Very tasty. Another day they pruned the big tree on the left, which really opened up the view to the next lot. We’d heard the low house on the left is boy’s quarters, which our compound does not have: living quarters for household staff. We could always hear music, chickens, kids playing and people talking there, but now we suddenly see them. Most have very tidy yards. Days like today, I’ll be hanging out laundry, as the lady in the yellow skirt does next door. She seems to like to sit in her front step, as I do on the balcony until it gets too hot. It’s already 32C mid-morning in the shade, we can feel the hot season approaching. It is a little odd, living in a compound with electrical fences and a pool and privileged comfort, when you see your neighbours managing with very little. They have tap water, but that may not be safe to drink. Many in Ghana still lack access to potable water, and the most prevalent water-borne diseases here are typhoid, cholera and dysentery. 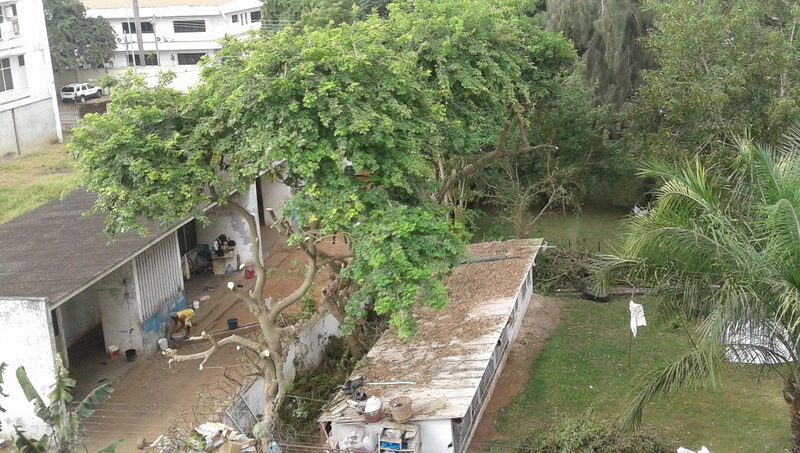 There is a cholera outbreak in Cape Coast now, though no deaths yet, thank goodness. Another neighbour just popped by. We are having a small BBQ tomorrow with neighbours on this side of the fence, and he dropped off sliced beef from his Lebanese butcher so we can prepare it for tomorrow. “Wash it, layer it with sliced onions, garlic and vinegar, and leave it overnight to rest.” We shall do as instructed. I’m making risgrøt for tonight (Norwegian rice porridge) so we can bring riskrem as dessert for the BBQ, made with cold rice porridge mixed with whipped cream, served with red currant sauce. I’ll try making it in the slow cooker, to avoid dissolving in a sweaty heap while stirring it on the stovetop for 40-50 minutes. I’ll never complain about Ferragosto heat in Rome again! Speaking of slow cookers, here is a tasty (though not so photogenic) recent dinner. We love the slow cooker — it is perfect in the heat, and hopefully more energy efficient than stovetop cooking. Chop your chicken, and fry it lightly in a frying pan. (Probably not needed, but for hygiene reasons I wanted to make sure the chicken was well-cooked.) Put chicken, onion, garlic and ginger in the slow cooker. Pout in stock and coconut milk, and cook on high for 2-3 hours. If it looks very wet, a little desiccated coconut can help firm up the curry. Taste and add salt, pepper and more curry powder if it’s a bit bland. We added chili flakes as well at the end, to give it it a bit more kick. Flavours are deeper the next day. This entry was posted in food, Ghana and tagged chicken, coconut, curry, living in Accra, pineapple, slow cooker on November 19, 2016 by krumkaker. After almost a year in Accra, it’s gotten easier to know where to shop. Yes, we have tried the fish market in Tema, and big vegetable markets. There are various supermarkets: Shoprite is South African, good for basics and bread flour (when not out of stock for four months), and has fresh milk on Fridays (not that I have ever seen it). Koala is Lebanese, pricier but a good selection (fresh vegetables on Thursday!). Malcolm Plus has good Indian snacks. MaxMart is also Lebanese, it has a really good butcher, also good for bread flour and spices, and has some Waitrose Essentials items. We often shop at Marina Mall, which for some reason is #13 of things to do in Accra. Total mystery. 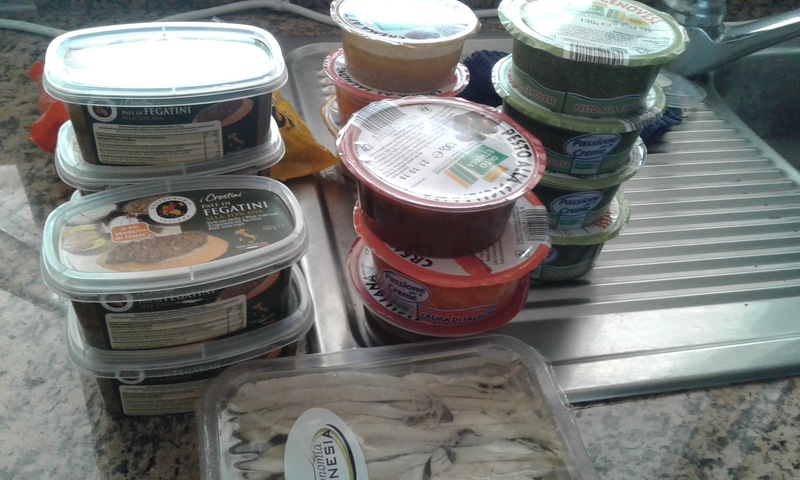 But it has a reliable Lebanese supermarket, decent vegetables too, and our neighbour kindly gives us a ride there on the weekend, so we stock up on UHT milk and milk powder, lentils and flour, eggplant and basics. 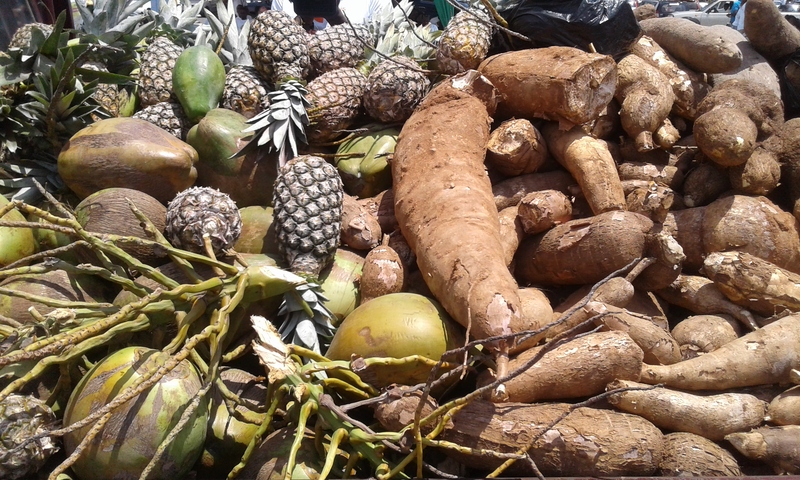 And luxuries, like some fizzy water for my husband – not easy to get here, but if it keeps him happy…… For fruit there are local stands around town, with bananas, pineapple, papaya, avocado, ground nuts and such. So we manage very well. However, I must confess: we also manage well because we have been travelling in recent months. Italy in July: we came back laden with parmesan, pecorino, pizza cheese, pesto, pasta, olive oil, truffle salami, UHT whipping cream, Italian tuna, homemade apricot jam from a friend, rice crackers, homemade passata from another friend, guanciale and pancetta, sundries tomatoes, carnaroli rice…… When your checked luggage can be two suitcases of 23 kilos each (yes, also in economy), we make the most of it, and that was mainly hard to get food. I just pray the luggage is not delayed or lost. A month later, we came back from holidays in the UK. 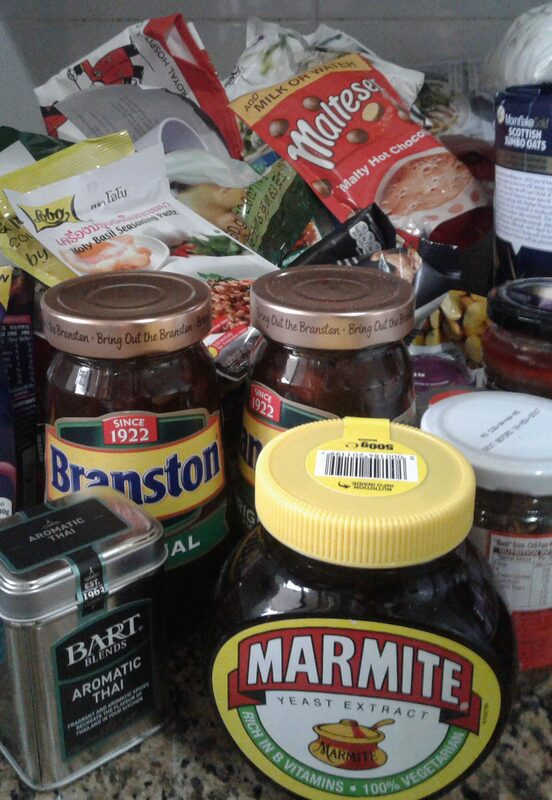 Marmite, Branston pickle, large oats (for making granola), curry pastes and spice mixes, bread flour, Maltesers hot chocolate mix (why did I but that? it is TOO HOT to drink that here…. ), breakfast sausages, candied ginger, Angel Delight, crumpets, English cheeses (cheddar, brie with mushrooms and truffle, Red Leicester, Wensleydale, Shropshire, Stilton…….ahhhhhhh). So I have been a lazy cook recently, some days assembling from packets, which is nice on hot days. However, there is great local produce available, and that we do enjoy. 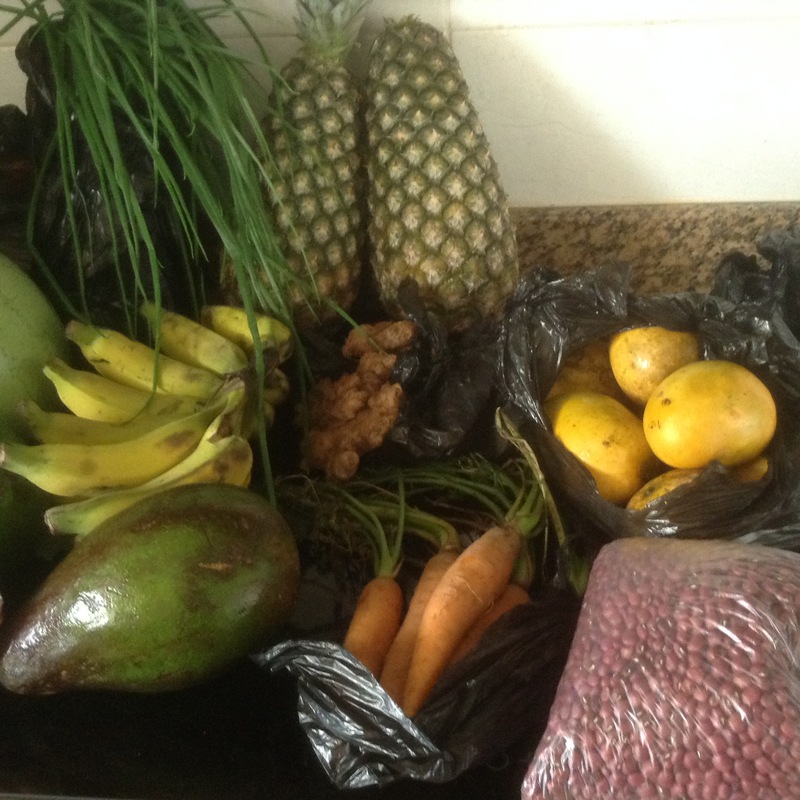 Papaya, pineapple, bananas, sweet potato, eggplant, cowpeas, cassava flour and gari, avocado and lovely local honey and cocoa…… Oh, and the cashew butter is delicious too. So we mix and match a bit, cooking Italian/Asian/Nordic with our suitcase-carried ingredients, but with local vegetables and a dash of shito (hot black pepper sauce). Or a pizza with sweet potato or pizza with jollof spices, pineapple fritters, or a groundnut semifreddo. No complaints here! Well, I complain about the heat, but even that has not been bad. In July-August-September it cools down to 24C at night, and the days have been OK. Now the hot season is approaching, and some days it is hard to stay hydrated. We get our 20 litre bottles of water delivered, and always have cold water on hand, but a friend recommended this to get some variety. Wash your pineapple well before slicing it. 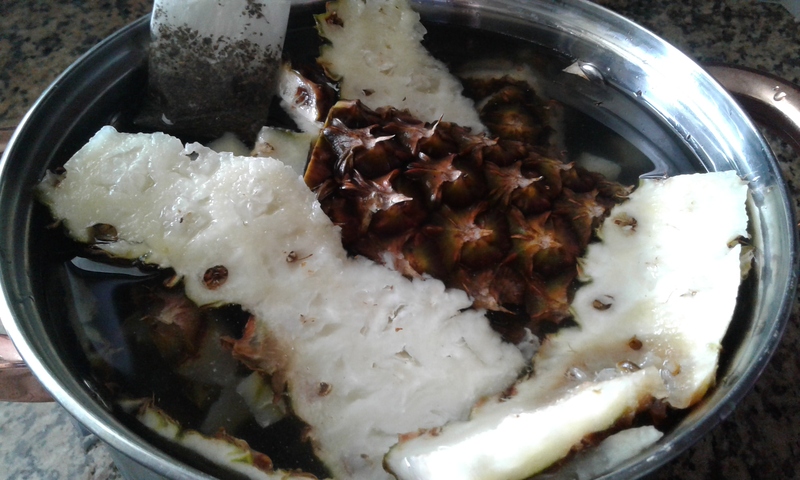 Save your pineapple offcuts (yes, peel and core). When you have a bagful of offcuts (we freeze ours between tea-making sessions), pop the lot in a pot and cover with water (here, filtered water, about one litre). Boil it up, turn off heat and leave to steep and slowly cool. Strain it, and pour it into a jug cool overnight and enjoy next day over ice. No sugar needed. Variations: I added a bag of mint tea this time, and have also added ginger sometimes, or black tea, or lemon, or a cinnamon stick. Good to have something flavoured and refreshing! This entry was posted in food, Ghana, travel and tagged food shopping, living in Accra, pineapple on November 3, 2016 by krumkaker.